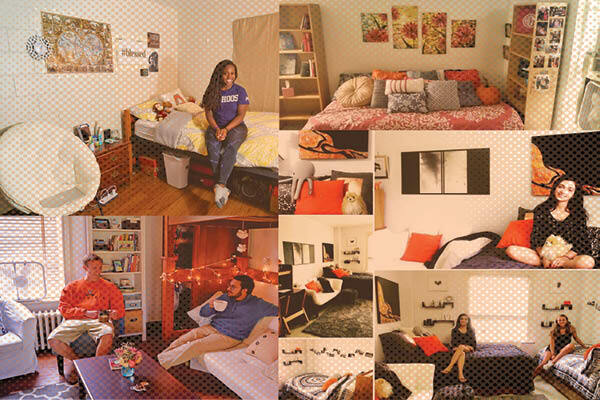 Hoo's Got the Best Room Photo Contest | Housing and Residence Life, U.Va. Hoo's got the best room on Grounds? Housing & Residence Life will host the second annual Hoo’s Got the Best Room photo contest this fall! We want to see the most creative, interesting, and fun living spaces in on-Grounds housing! After you’ve moved in, take a picture of your new home for us! Show off your decorating skills and how enjoyable it is to live on-Grounds. What does life in your new home look like? With your submission, you will be entered into a contest with your fellow classmates for the honorary title of Best Room on Grounds, as well as some sweet prizes! Follow @UVAHousing on Facebook, Twitter, or Instagram. Post pictures of your on-Grounds room, suite, or apartment between September 4 and September 18, tag @UVAHousing, and use the official contest hashtag #hoosgotthebestroom. See complete photo guidelines below. If your account is private, email your username and photo to housingweb@virginia.edu. We'll choose six favorites for voting. The photos with the most combined user votes on Facebook, Twitter, and Instagram will determine the first, second, and third place winners, which will be announced on Friday, September 22. The grand prize is a BEATS Pill Speaker! The second place prize is an Amazon Echo Dot, and the third place prize is a UVA Bicentennial water bottle. Photos must be taken by current UVA students inside their on-Grounds residence (room, suite, apartment, etc.) during the contest period. Submissions should display clean, organized rooms with your sense of style! Contest entries should include one or more people involved in an activity. Show everyone what living in your dorm means to you! Send us candids of you and your friends reading, watching movies together, chatting, etc. Contestants must follow @UVAHousing on Facebook, Twitter, or Instagram to be considered. Remember to use the hashtag #hoosgotthebestroom. Decorations in submitted photos must comply with UVA Housing & Residence Life decoration policies. The contest runs from September 4-18. All entries must be submitted by Monday, September 18 at 11:59 p.m. to be eligible to win. Voting takes place from September 19 through September 22 at noon. By entering, you grant permission for your photo to be used by UVA Housing & Residence Life in future promotions, including in print and electronic marketing materials and on social media accounts, including Facebook, Twitter, and Instagram. The winner will be announced and individually notified on Friday, September 22 by 5:00 p.m.